Farmers' Market Lucknow: An event called Farmers' Market was organized at Habibullah Estate in Lucknow on the 9th of December. Nutriwell India was a huge part of this Farmers' Market initiative and supported it wholeheartedly. 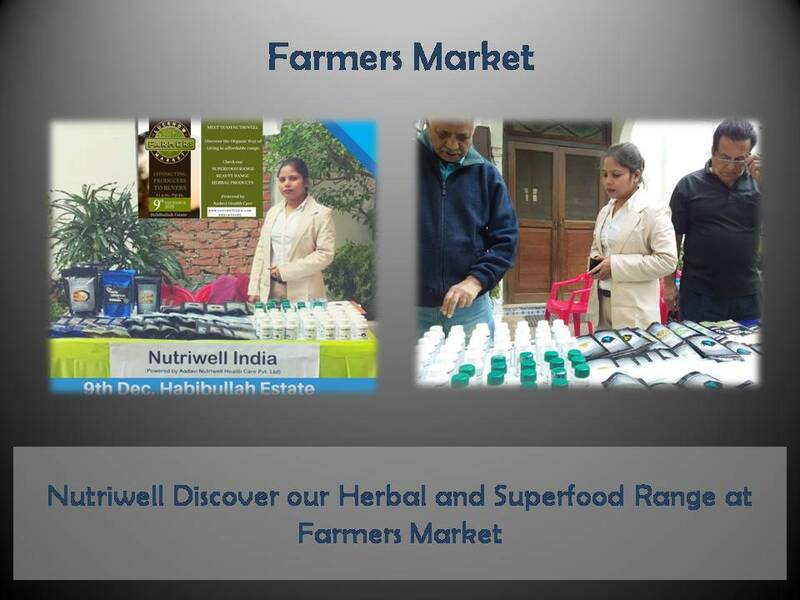 Nutriwell had its own stall at the Farmers' Market Lucknow which displayed Nutriwell's very own range of products including Superfood range along with beauty range and herbal products. The Farmers' Market was a great initiative that supported and promoted local farmers. All of their produce was super fresh and made using organic methods only. Not only did it promote the farmers but also supported the motto of healthy, safe and clean eating.